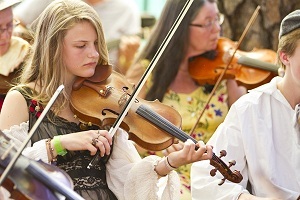 The 22nd annual KVMR Celtic Festival and Marketplace mixes Celtic music and magic September 28 through 30 in Grass Valley, California at the Nevada County Fairgrounds, a bucolic setting on 100 acres among giant ponderosa pines. There are eight stages and performance areas. Our main stage hosts many of the best Celtic musicians on the world stage. The Nevada County Fairgrounds is transformed into a Celtic Village and headline concert venue. Mainstage musical headliners for this year include festival favorites The Elders, Seamus Egan Project featuring Moira Smiley, Heron Valley from the Scottish Highlands, Irish stars The Black Brothers, Galen Fraser Trio, House of Hamill, Mathew Byrne and Irish quintet Connla. Shopping and dining opportunities abound with over 50 vendors and a complete Irish Pub. Hundreds of regional performers, singers, bagpipers, actors, jugglers and storytellers roam the fairgrounds. Friday night includes pageantry and jousting with the Royal Tournament and Gathering of the Clans, Free Friday Youth Arts Program, and the Friday night Ceilidh – a Celtic party with music, dancing and revelry under the stars. Musicians are encouraged to bring their instruments and join in with jam sessions and workshops scheduled throughout the weekend. History buffs can explore several encampments of “Guilds” who re-create points and places in time. Exciting and educational, the Celtic Animals exhibit houses falcons, hawks, owls, Irish wolfhounds and ponies. Revelers make music into the night in the campgrounds complete with tall trees and a lake. Camping and RV hookups are available on-site. 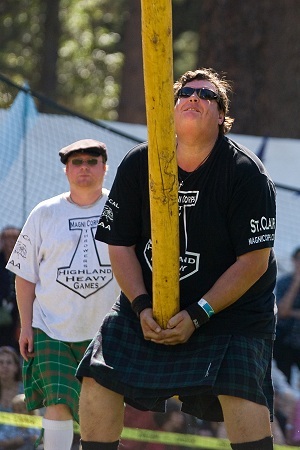 Amateur and professional athletes test their strength and skill in Scottish Games. Children are kept engaged with arts and crafts, story telling, and romping on the straw bales. 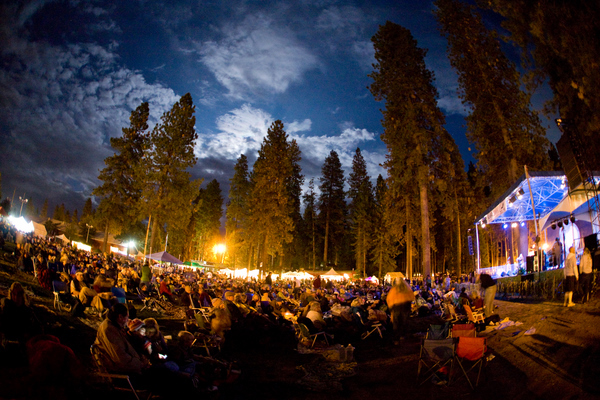 We hope you and your family will join us for this year’s KVMR Celtic Festival. The Celtic Festival’s Friday Youth Arts Program has grown to be a wonderful afternoon of music, magic, dance and arts instruction for aspiring artists. Participants, ages 10-18, learn from world-class artists and festival headliners. Youth participants in the program can take 1-3 consecutive workshops of their choice. The FREE program includes workshops and a discounted youth day pass for attendees. The three-day KVMR Celtic Festival kicks off with the Royal Tournament & Gathering of the Clans. Chivalry and honor reign on Friday, September 28 with a medieval tournament featuring full contact jousting, dancing horses, sword fights and hand to hand combat presented by the Imperial Knights. Honors to the winners will be presented by the King, Queen and their royal attendants. The festivities take place in the Nevada County Fairgrounds arena and will include pageantry and a parade with medieval clans and guilds in attendance vying for favors. The Imperial Knights travel internationally and feature the expert horsemanship of Thomas and Andrea Montgomery. Exhibitions include hand to hand combat and the thrill and excitement of full contact jousting. The company uses authentic medieval weapons and armor along with colorful heraldry and costumes. Heavy armor jousting was prominent in the 15th and 16th century. The purpose of the competition is for each competitor to try to dislodge the opponent from his/her horse. Armed with 13-foot-long lances, they gallop down the lists toward each other and score points by unseating their opponent or striking the shield. The Imperial Knights will present jousting exhibitions on Saturday and Sunday at 3:00 pm in the Fairgrounds Arena. This year the KVMR Celtic Festival will get a running start on Friday night with our Friday Night Ceilidh – an evening of Celtic music and dance featuring the Galen Fraser Trio. There’ll be line, circle, and couple dancing for all ages and abilities. No need to come with a partner – it’s a great way to socialize and meet friends. The Friday Night Ceilidh will be held at the Ponderosa Hall at the Nevada County Fairgrounds with indoor space for dancing, an outdoor deck with food and a full service pub, and beautiful garden space for relaxing and enjoying the evening. Back again to headline the KVMR Celtic Festival are fan favorites, The Elders, making Grass Valley one of their final stops on their 2018 farewell tour. Since forming in 1998, The Elders have set the music scene on its ear, thanks to a skillful blend of American roots rock and amped-up Celtic folk; a cross-pollination of elements that is high-octane and progressive, yet rooted in tradition. Rightfully regarded as one of the top American Celtic-rock bands, the band employs a variety of instruments including guitars, drums, banjo, accordion, mandolin, piano and fiddle, creating music that transcends the stereotypical notion of Celtic music. Powerful four-part harmonies, blazing instrumentals and songwriting that is unaffected by fads, trends and the giant maw of mind-numbing commercialism – it all adds up to the hottest show in Celtic music today. Hailing from the cities of Armagh and Derry and labeled as the Hottest New Group out of Northern Ireland, (Chicago Irish American News) Connla have been quickly making an impact on the folk/traditional scene. Their sensitive and innovative arrangements of traditional and modern folk songs and tunes, have helped them create a sound which is very identifiable as Connla. Since the release of their EP in April 2015, and album River Waiting in July 2016 they have received fantastic reviews at home and internationally with a growing audience in the UK, Ireland, Europe and the USA. Songlines magazine made Connla their “must see act” for the tour of the UK and stated “A band this young shouldn’t be this good”. Heron Valley are an energetic, young traditional band from Scotland who have serious enthusiasm for the music they play. Their roots lie in Scottish and Irish traditional music, while taking influence from various Folk, Country and Bluegrass styles. Heron Valley has made an impact on the folk scene in Scotland. 2016 saw them on their tour of 11 Festival stages over the UK, while 2017 seen them on a tour of over 20 festivals around the UK and Europe. Heron Valley released their debut album, Roam, in May 2017. Seniors are admitted at 9:00 am on Sunday only for complimentary coffee, scones and preferred seating.